River Country Closed by Brain-Eating Amoeba? Guests loved Disney’s River Country, the rustic waterpark at Walt Disney World’s Fort Wilderness. After it closed at the end of the 2001 season, it never reopened. I normally don’t write about deaths at Disney parks, which are very safe places. However, for this story, death and the risk of death are key elements. The Claim: An 11-year-old boy who had been swimming at Walt Disney World’s River Country died from a brain disease linked to amoeba at River Country. 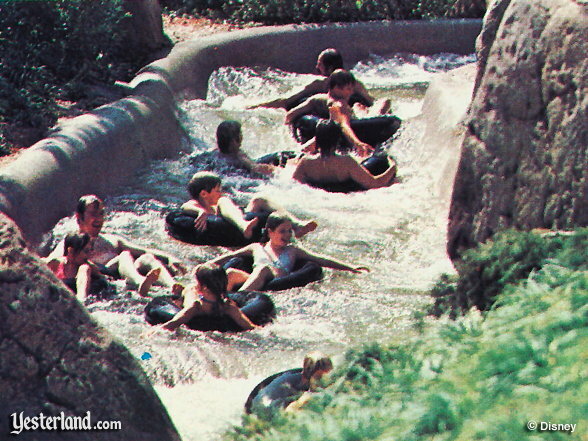 Disney’s River Country was the first waterpark at Walt Disney World. It’s also safe to say it was the first themed waterpark. Some even consider River Country to be the first water park anywhere, but that depends on how you define a waterpark. 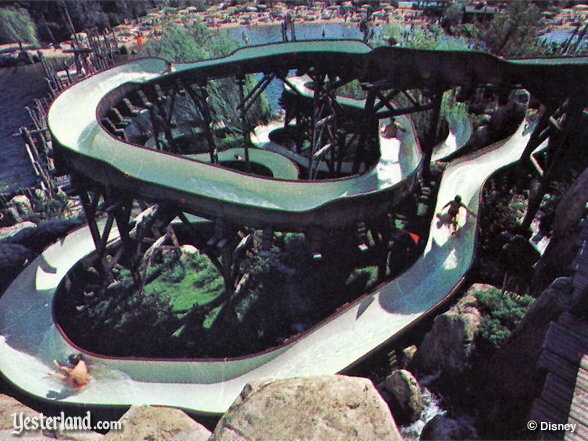 Yes, River Country opened almost a year before Wet ’n Wild in Orlando, but there were public pools and lake parks with water slides and other aquatic play equipment long before River Country opened. 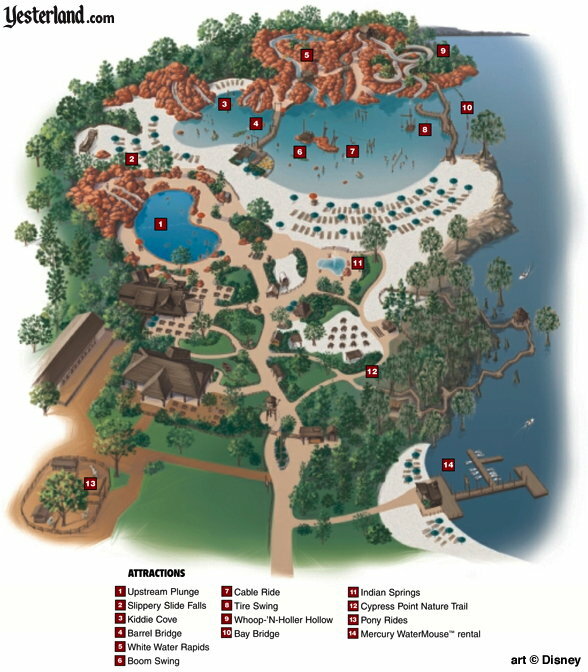 Six Acres of aquatic fun await visitors to River Country, which opened at Walt Disney World’s Ft. Wilderness Campgrounds last June. As many as 4,700 guests per day have already enjoyed its Ol’ Swimmin’ Hole, white water rapids, raft rides, rope swings, beaches or a plunge down a 260-foot, 2,000 gallon a minute water slide called Whoop ‘N Holler Hollow. The water park’s grand opening had been June 20, 1976. Susan Ford, the 18-year-old daughter of President Gerald Ford, took the first official ride down Whoop ’n Holler Hollow. 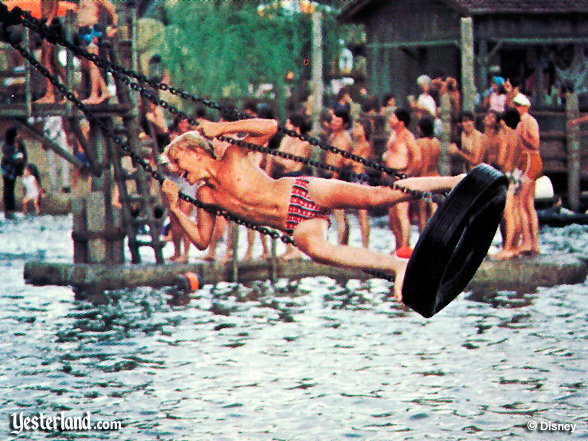 Just as Disneyland had reinvented the amusement park 21 years earlier, River Country reinvented aquatic recreation. On Thursday, August 28, 1980, a sad Associated Press (AP) wire story appeared in newspapers throughout North America. ORLANDO, Fla. (AP) - A rare but deadly disease caused by an amoeba found in Florida fresh-water lakes has claimed its fourth victim—a New York youngster who spent his vacation swimming at Walt Disney World’s River Country. The disease, amoebic meningoencephalitis, attacks the nervous system and brain, doctors say. It killed two Florida children earlier this month and appears to have been the cause of death of another youngster, a state health official said. The latest death was that of an 11-year-old boy who visited the Orlando area during the first week of August and swam at the water attraction at Disney World, said Dr. John McGarry, director of the Orange County Health Department. The child died after the amoeba entered his nose, went through the nasal passage and attacked the nervous system, including the brain, said Dr. Robert Gunn, state epidemiologist. The boy, who was not identified by New York or Florida health authorities, died last Friday. The story went on to describe the other three deaths, based on information from David Voss of the Florida Department of Rehabilitative Services. These deaths did not involve River Country. Vos and McGarry said investigators from the U.S. Center for Disease Control in Atlanta and the New York Health Department pinpointed River Country as the source of the amoeba after the New York child’s parents reported that the amusement park was the only place where he went swimming recently. The two officials [Voss and McGarry] said there was no reason to blame Disney World for the tragedy because the amoeba can breed in almost any freshwater lake during hot weather. Officials have said there is no epidemic of the disease in central Florida, where all four cases were detected. Disney officials said there was wasn’t much they could do. Ridgway emphasized that Disney World conducts a thorough program of water-quality control in cooperation with health officials. Not only did River Country not close immediately after the boy’s death, it remained open another 21 years. 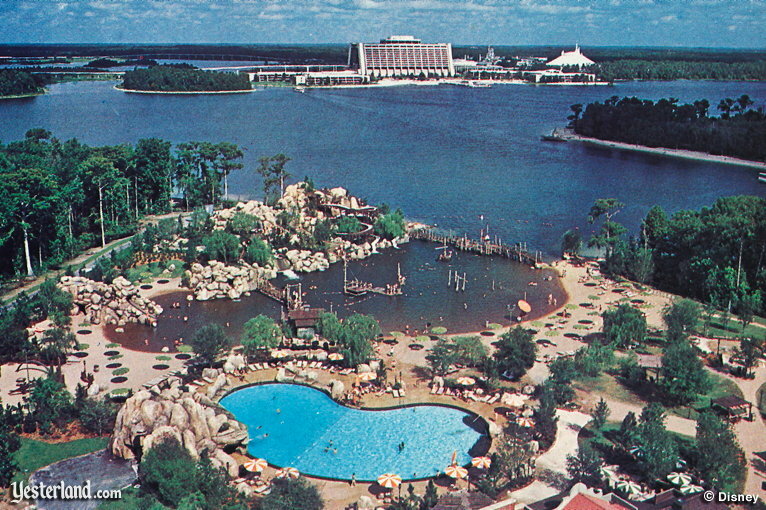 Photos and maps of River Country show that the park had two bodies of water. The smaller one was a clean, clear swimming pool. The larger one appeared to be a natural cove, completely open to Bay Lake, the largest natural lake at Walt Disney World. In reality, the cove’s water was isolated from Bay Lake by a barrier across the mouth of the cove. Large pumps pulled water from Bay Lake through filters to feed the water slides and White Water Rapids. The water level of the cove was higher than that of the lake. Water from the cove would cascade over the top of the barrier into Bay Lake—but not the other way around. Disney could monitor water quality and check for anything that should not be there. Despite Charles Ridgway’s immediate remark about not knowing of any action that could be taken, it’s reasonable to assume that Disney did everything possible to avoid a repeat of the tragedy of 1980. But River Country stayed open. River Country had its normal seasonal closing at the end of the 2001 season. In his “Ask Dave” column on the D23 website, Disney Legend Dave Smith identified the closing date as September 1, 2001. When the time came for River Country to reopen for the 2002 season, it didn’t. The reasons for the closing of River Country are the subject Part 2 of “River Country Closed by Brain-Eating Amoeba?” at Yesterland.